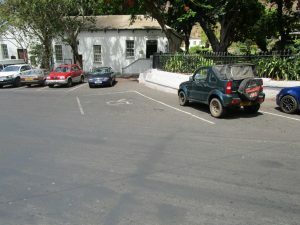 St Helena Police are aware of some drivers parking in the designated disabled persons parking bays in Jamestown without the required permits. These parking spaces are there for persons who are disabled or have mobility impairments. They must not be used by anyone without a permit. St Helena Police would also like to remind drivers with the appropriate permits that when parking in a disabled persons parking bay, a ‘blue badge’ must be produced and visible at all times. A disabled parking permit can be obtained from the Safeguarding Team via tel: 23349 or 25353 or email: Anna.Crowie@sainthelena.gov.sh. There are both short and long-term permits and an assessment of a person’s disability will be required in order to secure a permit.